When the time comes to finalize a transaction where you're using plastic to pay, you have to choose between debit or credit. Which is the best option? The answer depends on your personal financial situation and whether or not you are trying to establish a credit history. Beyond the protections offered to cardholders under the Fair Credit Billing Act, there are a number of reasons why this payment method is more favorable in some situations. Even if your anti-virus protection is up to date and you are surfing the web on a secured network, hackers may still find a way to steal confidential account information from online transactions. Almost all credit cards come with the zero-fraud liability protection, so you will not be held responsible for fraudulent purchases made using your information. 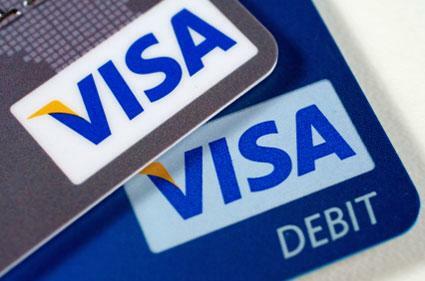 The same protections are afforded to debit card holders, but the timing allowed to report the fraudulent usage is longer with a credit card. Because of the buyer protections offered, it may be in your best interest to use your credit card when making large purchases. These include price protection, an extended return period, an extended warranty and insurance coverage. However, be sure to confirm that these protections are applicable to your account. "Pay with a credit card and, if there's a problem after the sale, you can dispute the charge and, by law, the credit card company will pursue the matter," asserts Jewett City Savings Bank. Renting a car with a debit card is a tedious process. Not only will the rental car company hold a deposit ranging from $200 to $500 on top of the cost of the rental, but they will more than likely require that you submit additional documentation and run a soft credit check. Credit cards simplify the process of renting a car. When dining out, it's best to use cash to your settle bill since the server will more than likely walk away with your card and be given the opportunity to record your card information. If you must use a card, the safest bet is credit because of the zero liability for fraud protection offered by most credit card issuers. What happens when you prepay for a good or service, but the vendor refuses to issue a refund even if the order is not properly fulfilled? Fortunately, the credit card is armed with a powerful feature: the chargeback. It will grant you a refund in the event that the goods or services you purchase are not delivered or rendered in a timely manner or are received in a damaged state. These types of automatic payments should always go on a credit card in case a billing discrepancy arises so your checking account will not be overdrawn. Skimmers love gas stations, so using a credit card can reduce the risk of being victimized at the pump by having your checking account emptied out. Gas stations also may place large holds on your account, even if the purchase amount is a much lower amount, which can cause you to incur overdraft fees if you do not have an adequate amount of cash in your checking account. There are also situations where using a debit card is a better choice. If you're trying to successfully follow your budget and control your spending, a debit card may be the best route to take because once the money's gone, it's gone. As a safer alternative, you may want to try the envelope system. "If you're going to use a credit card to spend more than you can afford, you might want to stick with debit instead," reports MSN Money. Debit cards are just as convenient as credit cards when making purchases. If you are uncomfortable using your PIN to make a purchase, simply use the credit option and sign on the dotted line to bypass entering your personal identification number (PIN). When you swipe your card and select debit as the form of payment at the checkout line, you may also be able to withdraw funds. This option is available that stores that offer cash back, and grant you access to a convenient, fee-free ATM. Although it may be a lot safer to use credit cards, they do come at a cost unless the balance is paid in full each month before the grace period ends. You must also consider the accompanying interest and fees, such as the annual fee, penalty for late payments and exceeding the credit limit and dormancy fees. Whether you choose a credit or a debit card for purchases, be sure to login and view your activity every few days, if not each day, to ensure the transactions are valid. If you notice any discrepancies or fraudulent activity, immediately notify your credit card issuer or financial institution.